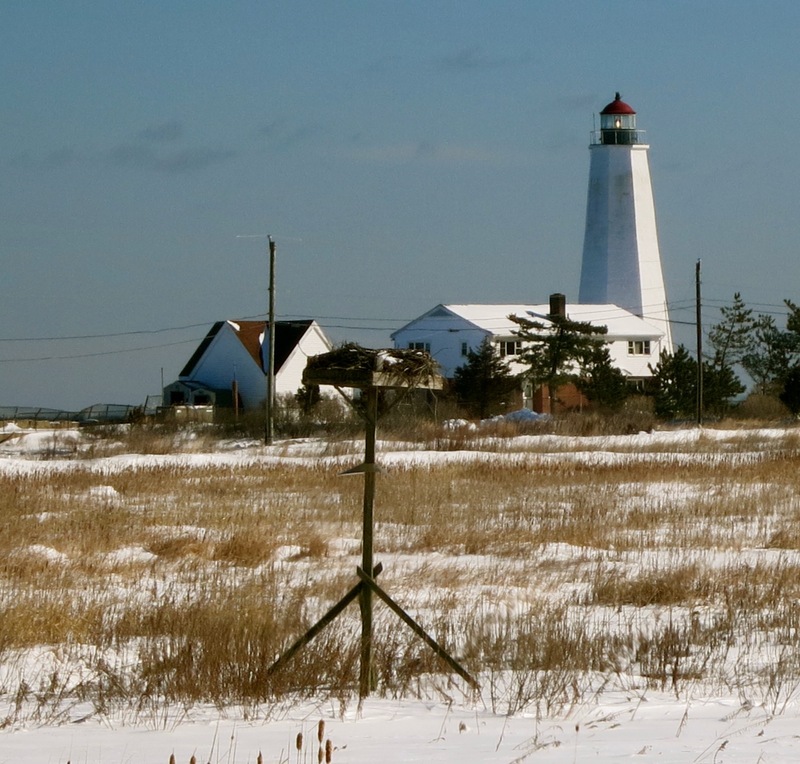 WHY GO: Situated at the mouth of the Connecticut River where it meets Long Island Sound, Old Saybrook CT has drawn vacationers and celebrities for 150 years. Wavery-voiced actress, Katharine Hepburn lived in the Fenwick neighborhood until her death in 2003. 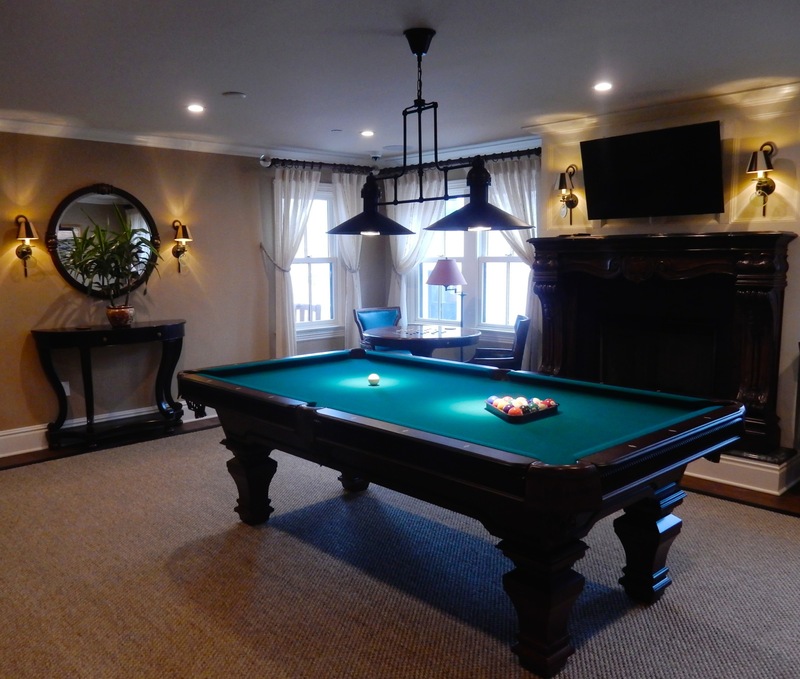 Out on “the point,” The Saybrook Point Inn and Spa recently opened Tall Tales, next door to Three Stories – both “Boutique Inns” – in addition to the hotel’s already luxurious accommodations. Learn about Saybrook Point’s earlier incarnation as Terra Mar, frequented by Hollywood luminaries and gangsters, and some cherished African American history on this surprisingly down-to-earth but high-class Connecticut coastal Getaway. 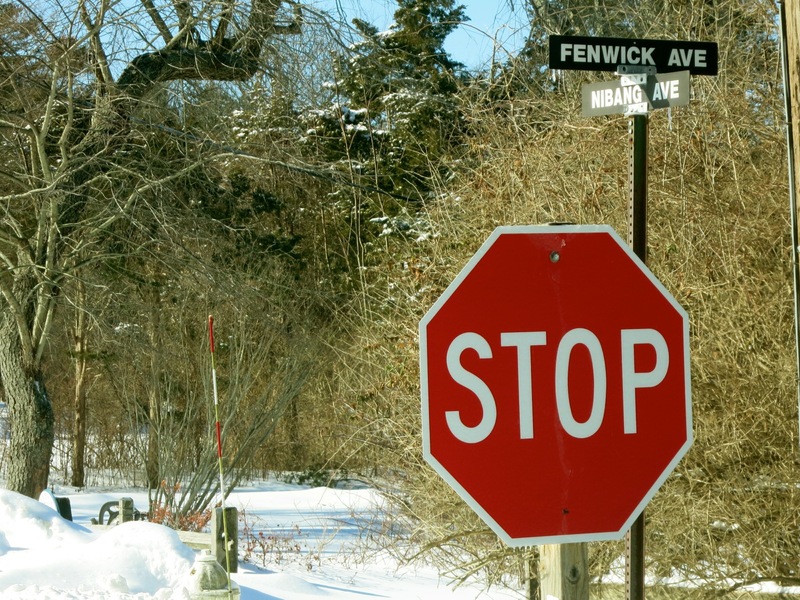 DO: Drive Around Fenwick. She was Annie Hall without the neurosis. She wore pants! She was beautiful, witty, and a clever verbal sparring partner with each of her leading men. Katharine Hepburn, the legendary actress, was hero and role model for women who were not afraid to be smart – and she lived right here, in Old Saybrook, as she couldn’t stand the fake, striving, Hollywood scene. Kate came by her strong feminist views honestly. Her mother, also named Katharine Houghton Hepburn, was influential in the Women’s Suffrage movement, and went on to co-found the American Birth Control League with Margaret Sanger (which became Planned Parenthood) in the 1930’s. The Hepburn’s lived in Hartford CT, but had a summer home in the Fenwick section of Old Saybrook. The home was washed away during the Hurricane of 1938, so Kate rebuilt a larger house on the same site, and it’s where she lived until her death at age 96. Known in town as down to earth (she did her own grocery shopping), no-nonsense and fiercely independent, Kate was beloved by the community. In her honor, the people of Old Saybrook named the renovated Arts Center after her. 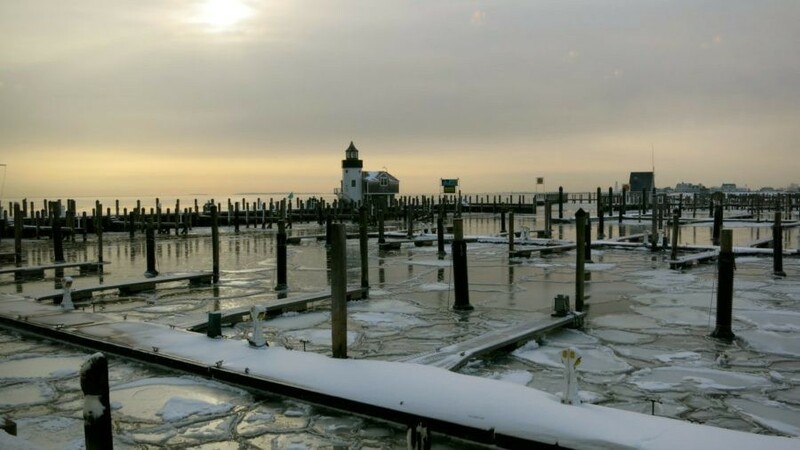 BIKE: “The Loop” – Route 154 crosses causeway bridges, affords dead-on views of two lighthouses (Lynde Point and Saybrook Point Lighthouses) and traverses reed- framed coves and waterfront neighborhoods on a stunning ten-mile loop around town. Peddling during sunrise or sunset is particularly beguiling. 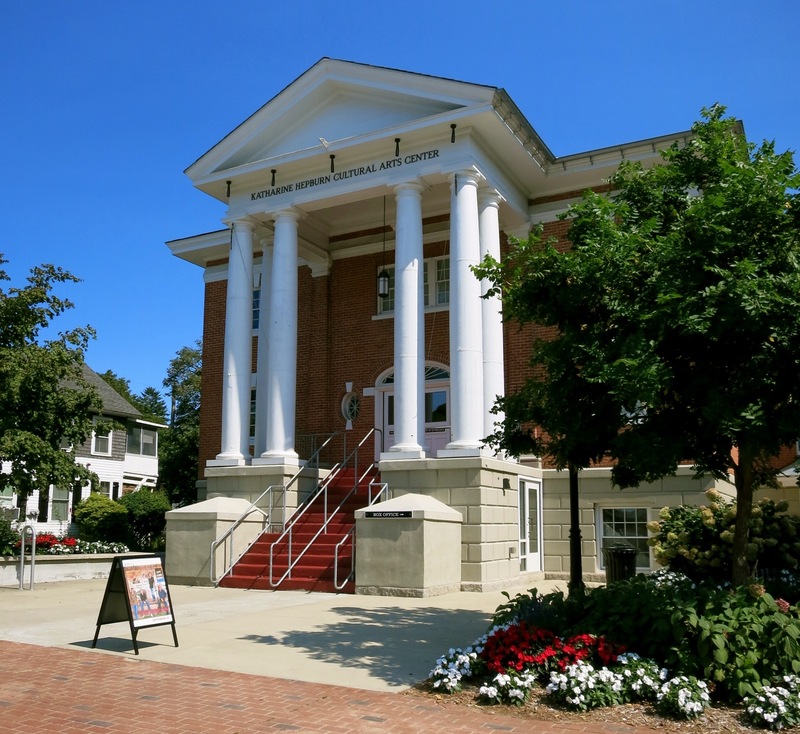 VISIT: “The Kate” – aka Katharine Hepburn Cultural Arts Center. The Kate hosts dance, theater, opera and film events in a cozy 250 seat auditorium. Even if you don’t see a show, feel free to pop in. 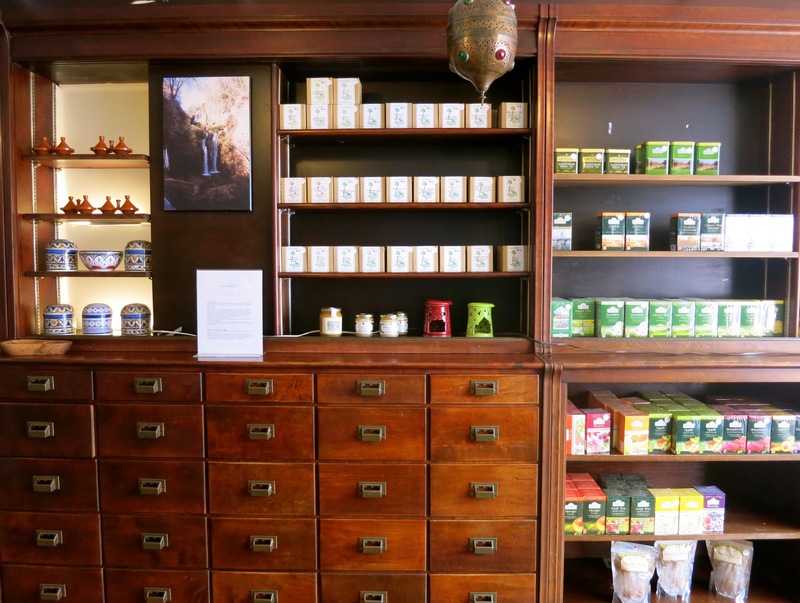 LOCAL NOTABLE: Anna James/James Pharmacy. Kate Hepburn was not the only strong, notable woman in this little Connecticut Shore town. What is now a new boutique B&B and Gelato Shop was once the 1790 General Store for the Humphrey Pratt Tavern (where, in 1824, the Marquis de Lafayette “made a purchase” – as it states on a prominent sign outside the door). 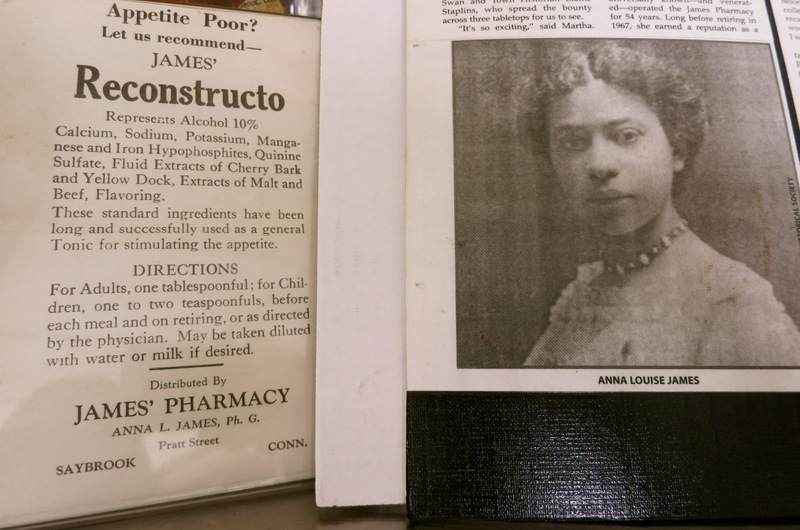 In the early 1900’s the store became a Pharmacy/Soda Fountain, run by Anna James, the daughter of an escaped slave and the first African-American woman to become a pharmacist in Connecticut. James was the only woman in her class at Brooklyn College of Pharmacy, Class of 1908. She took over her sister and brother-in-law’s drugstore in 1922 and retired in 1967 at the age of 81. Though Old Saybrook has always had a mostly White population, James was the “confidant and conscience” of the community, and was known affectionately by almost everyone in town as “Miss James.” Owners of the inn have preserved the charming wood apothecary drawers and the pharmacy’s original 1896 Soda Fountain with Vermont Granite counter. For a time, James employed her sister’s daughter, Ann Petry, who obtained her Pharmacist license before finding fame and fortune as a novelist. Petry’s classic American novel, The Street (1946), about a young hardworking black mother struggling to raise her child in 1940’s Harlem, still resonates today. The Street was the first book written by an African American author to sell over a million copies. 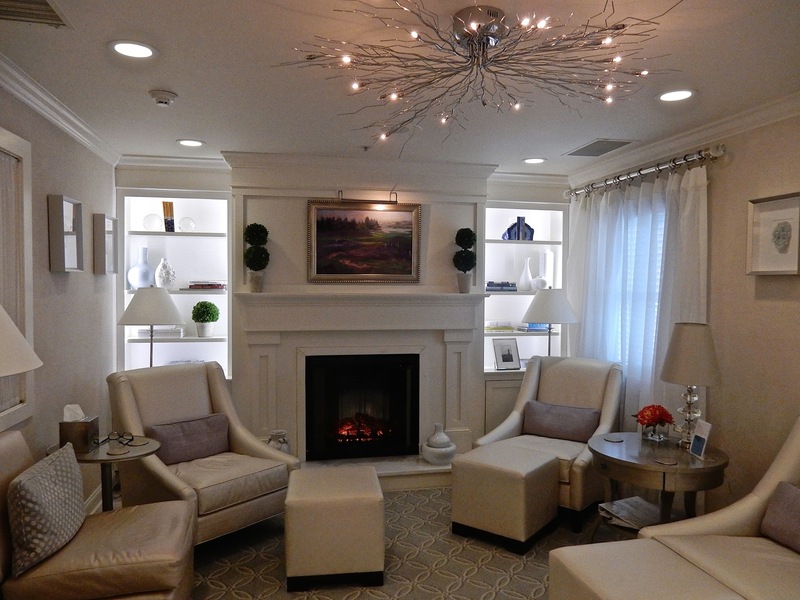 SPA: SANNO Spa @ Saybrook Point Inn. Excellent massage therapists know how to work the kinks out of even the most tense, stressed out bodies at SANNO, Saybrook Point Inn’s in-house full service spa. Though signature treatments (below) are splurgy delights, Sanno’s staff excel in the standard 50-minute Swedish Massage ($119) which leaves skin baby soft and muscles supple. If you stick around for another treatment, go for the 80-minute “Ocean Memory”($148) – which incorporates a “marine based oil massage” with tingling algae mouse moisturizer. Or The Signature “Kate” (50 minutes, $118), embracing Hepburn’s love for the outdoors with a body scrub, rinse and head to toe moisturizer. This is the first Spa I’ve been to where the “Relaxation Room” is stocked with small bottles of wine and Champagne (extra cost) along with infused waters and snacks –tailor-made for Bridal Parties and Girlfriend Getaways. SHOP: Harbor Books. 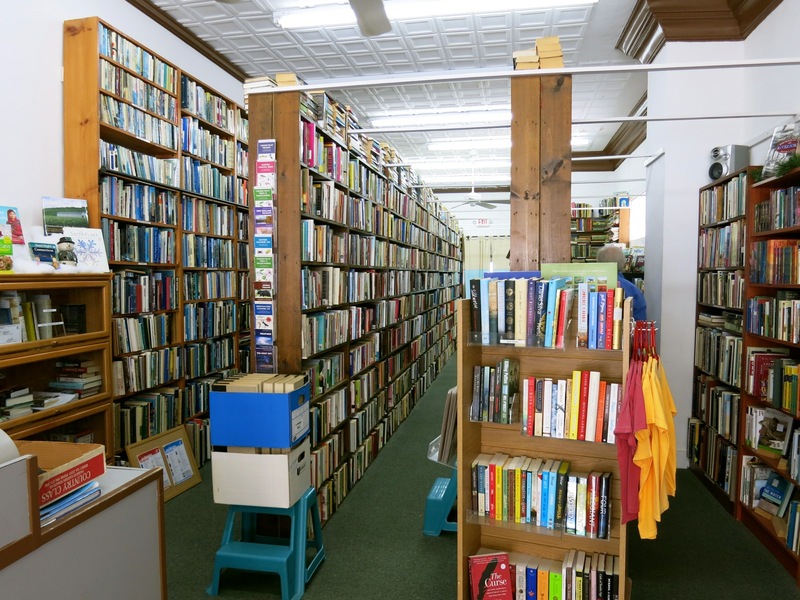 A vanishing breed, independent bookstores should be supported and cherished. So, while meandering up and down Old Saybrook Main Street – or after a matinee at The Kate, be sure to peruse the stacks at Harbor Books. It’s small, but contains a great selection of both old and new books. BOATERS: Saybrook Point Marina. 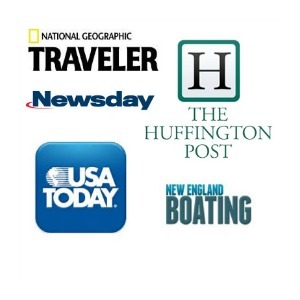 Transient boaters are not only welcome here – they are coddled. Those arriving by sea can use many of the Inn and Spa facilities (including the fitness center, jacuzzi, pools), fuel up, and join the throngs of happy people at the new outdoor Marina Bar. 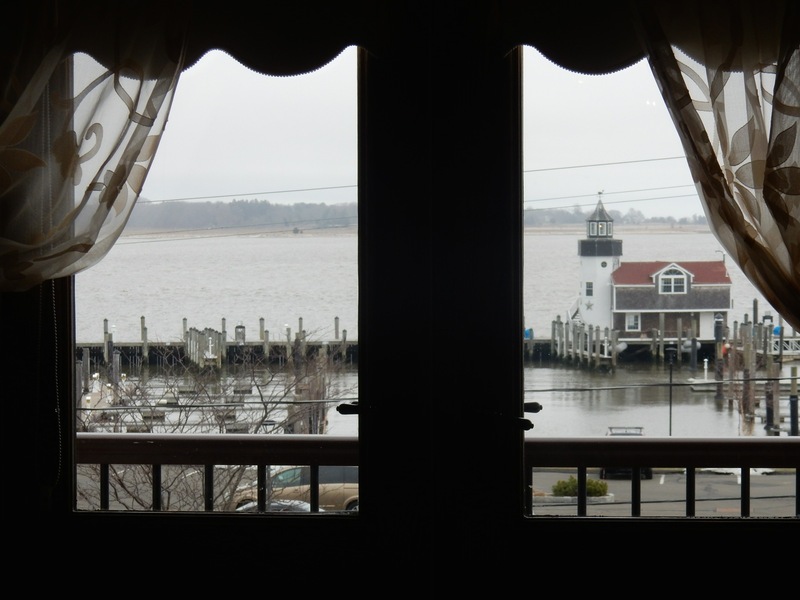 Landmarks are the large Lynde Point Lighthouse to find the marina and the much smaller Lighthouse Suite atop Saybrook Point Marina Inn’s dock master’s office. The 125 slips can accommodate boats 25-225 feet in length. EAT/FINE: Fresh Salt @ Saybrook Point Inn. The recent return of Chef Gese Rodriguez, who sends out plates from the kitchen as delicious as they are gorgeous, brought back an innovative, New England/Asian/Seafood fusion cuisine to Fresh Salt, resulting in an uptick in accolades and two thumbs up reviews. 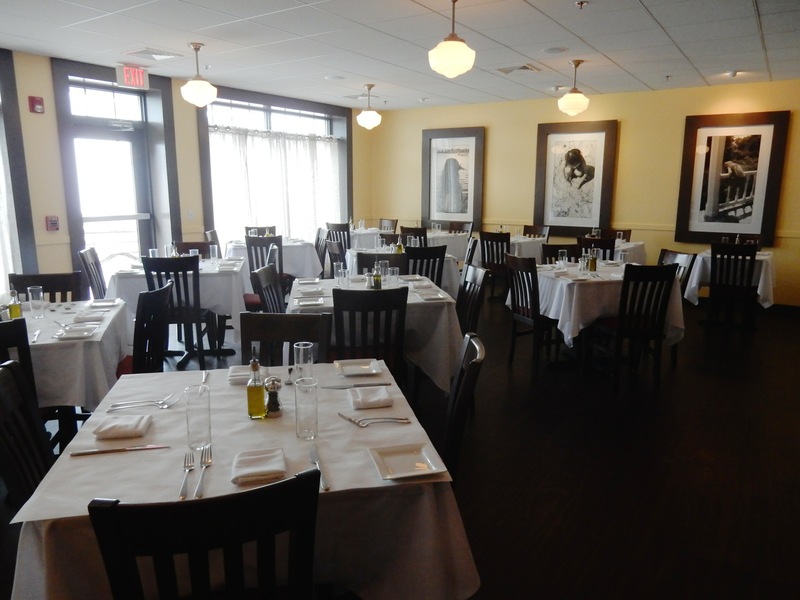 Formerly Terra Mar Restaurant, the space was renovated in 2014 to reflect a more casual, clubby dining experience. A bank of windows overlooks the marina, prints of sailing ships line dark wood walls, an illuminated salt-water fish tank adds color pop, and the wood-burning fireplace offers cozy warmth in winter. Rodriguez left the signature Cioppino (seafood stew, $27.95) on the menu, and added vegan approved dishes like Quinoa Salad ($13.95) and Cauliflower Steaks ($23.95). I was partial to the expertly seared Stonington Scallops, the exceptional Sushi Tuna Triangles ($14.95), which, with a glass of wine, could have been my perfect dinner, and a succulent Colorado Lamb Porterhouse ($26.95 for one). End with one or two fresh baked Chocolate Chip Cookies ($1.95 each). EAT/FINE: Liv’s Oyster Bar. You’ll find Liv’s in an old repurposed movie theater near The Kate Theater. Known for its Raw Bar (situated where the concession stand used to be), you can find a range of surf and turf items on the menu. EAT/CASUAL: The Monkey Farm. In an 1800’s stage road inn, The Monkey Farm was purchased by Harry Corning in 1968 as the SayBrook Inn, and in 1978 renamed The Monkey Farm. There were never any live monkeys here, as some rumors have it. The place, now a burger and salad spot, was named for either various sports teams or for the reputation of one of the owners who would toss the keys to a patron whenever he took off for Vegas, leading one to comment, “They’ll let anyone work here. 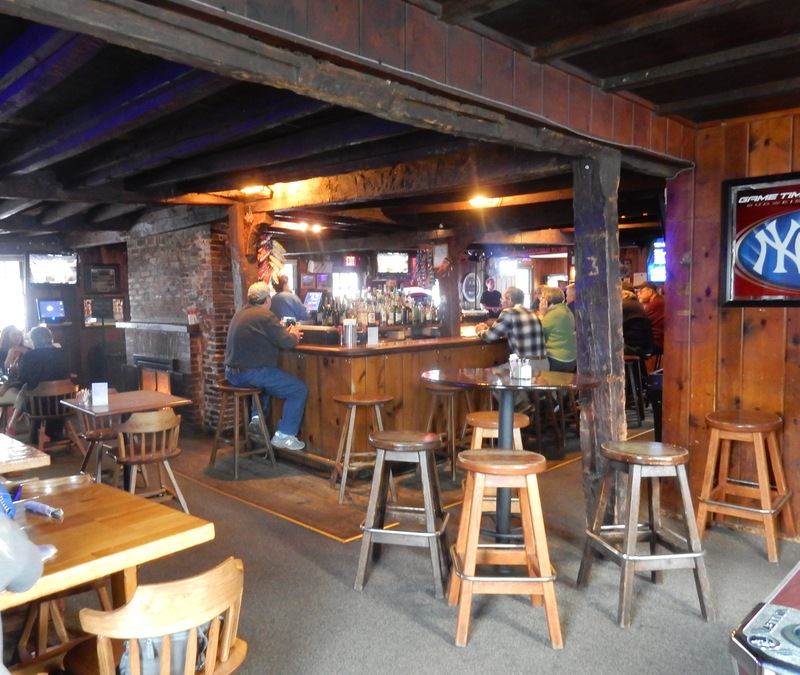 This place is nothing but a monkey farm.” Monkeys or not, this roadhouse has been an Old Saybrook icon for decades; the kitchen was renovated in 2006 and currently, Harry’s three kids are in charge. STAY: Saybrook Point Inn and Spa: The Saybrook Point Inn and Spa, perched on a Long Island Sound peninsula, encompasses a “green” marina, an outdoor heated pool (steaming in the snow-cold days of winter), an excellent Spa, a reputable restaurant – Fresh Salt – affording dazzling panoramas, a community Fitness Center and a brand new “boutique inn” addition. This is quite an about face from the hotel that stood on this site in the 1960’s and 70’s. Due to its striking location at the mouth of the Connecticut River, Saybrook Point has been luring tourists since the late 1870’s. 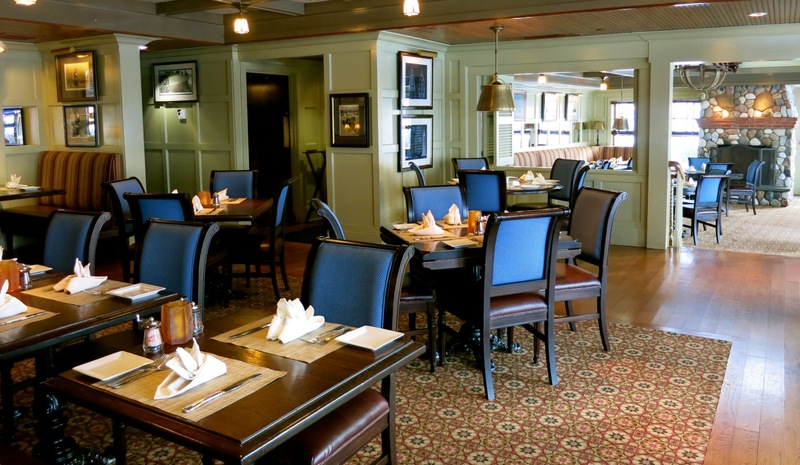 First a small inn, then, The Pease House, which gave way to Rat Pack favorite Terra Mar. Had Terra Mar survived, it would have made the ideal location for a Mad Men episode. Fifties Modern, two large outdoor pools, a big yacht marina – Terra Mar drew Frank Sinatra, Jane Mansfield, Ted Kennedy, Tom Jones and a slew of celebs. In the warm months, Terra Mar was Las Vegas meets Miami Beach, attracting gambling, gangsters and finally, The Law, which cracked down on illegal activities and effectively put Terra Mar out of business. 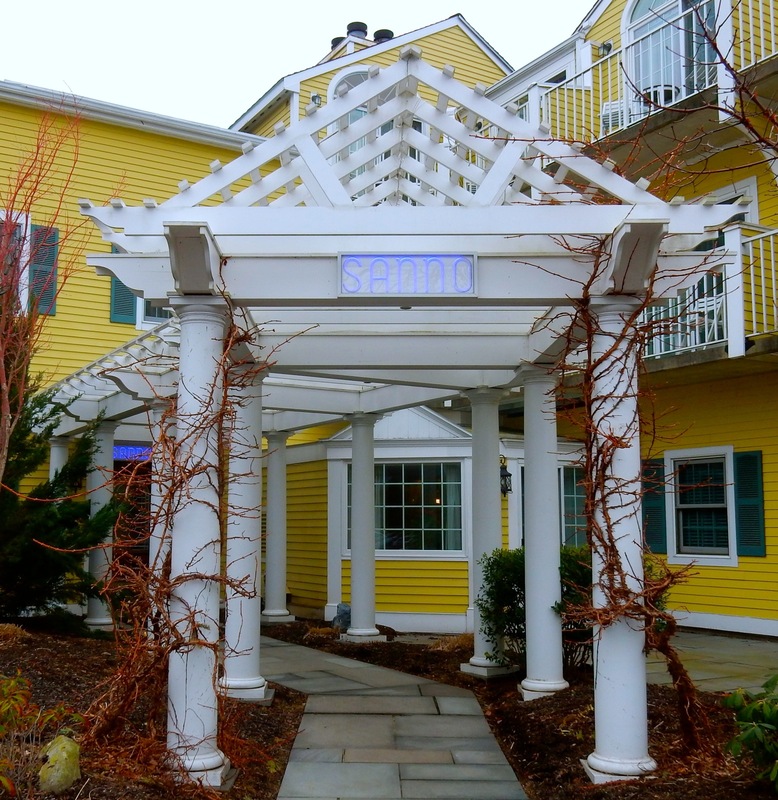 (Apparently, what happened in Old Saybrook didn’t stay in Old Staybrook).Saybrook Point Inn and Spa warranted its own write-up, which you can find HERE. STAY: The Deacon Timothy Pratt B&B circa 1746. 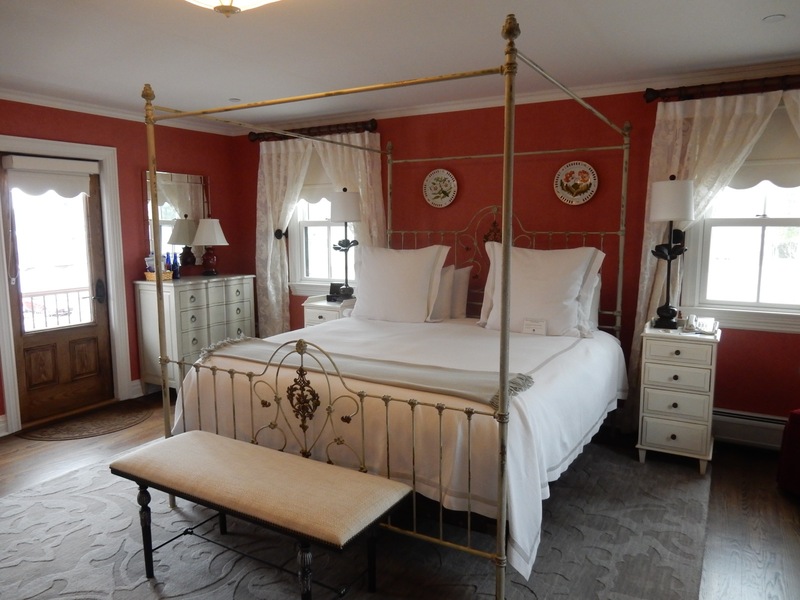 Located right next door to “Miss James” Pharmacy, this charming newly renovated B&B is a wonderful upscale alternative to Saybrook Point Inn. Rooms from $220-$275 include hot breakfast. 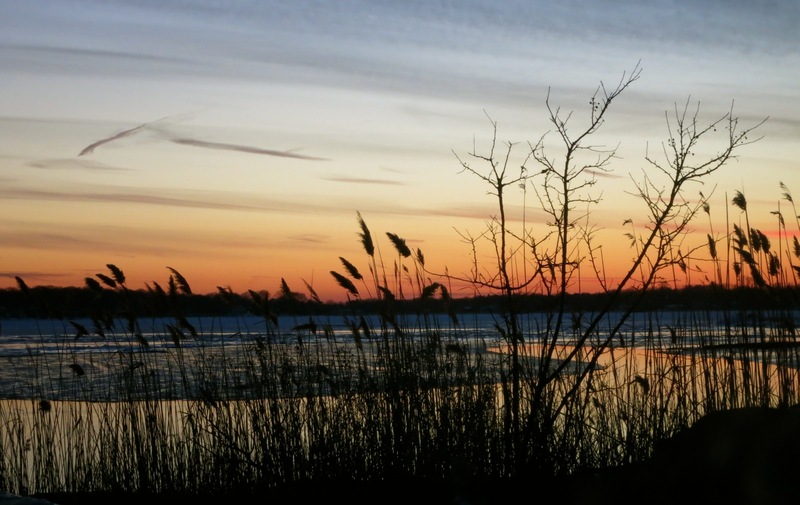 For a longer Connecticut Shore roadtrip, combine this stay with Clinton, just South on Route 1, and Old Lyme, just North across the Connecticut River.